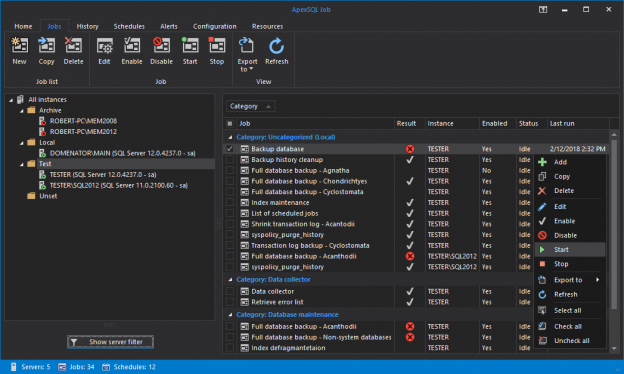 The 2018 versions of ApexSQL DBA and Developer tools now support new UI themes, with ApexSQL add-ins additionally supporting both SQL Server Management Studio and Visual Studio color themes by automatically adapting to the host theme. About ApexSQL Plan: ApexSQL Plan is a SQL query analysis and optimization tool. It identifies performance issues and deadlocks, analyzes stored procedures, SQL Server query issues and query execution plans, and helps you understand query performance characteristics. We are excited to announce the release of another application from our DBA family of products, ApexSQL Job. Key features of the new tool are focused on management of SQL Server Agent jobs in environments that contain multiple servers. About ApexSQL Refactor: ApexSQL Refactor is a SQL Server Management Studio and Visual Studio formatting and refactoring add-in for SQL Server with nearly 200 formatting options and 15 refactors such as table partitioning, safe rename, wildcard expansion and more. About ApexSQL Job: ApexSQL Job is a database administration tool used for SQL Server Agent job management across multiple servers. The SQL Server Agent jobs can be created, edited, deleted or disabled from the central application console. Execution history of SQL Server Agent jobs is presented in graphical and tabular view with an easy overview of failed jobs. Job history can be exported to CSV, XML, HTML or PDF documents. SQL Server Agent logs can be accessed directly, and further organized and filtered to determine potential issues with SQL Server Agent service or SQL Server Agent job execution. All managed SQL Server and SQL Server Agent services can be easily controlled through the application’s server pane. The application also allows for quick and straight forward management of schedules, alerts and operators. About ApexSQL Audit: ApexSQL Audit is a SQL Server auditing and compliance tool with a wide range of features for auditing access, changes, and security on SQL Server instances, databases, and objects. It audits queries, DDL and DML operations, security events (authentication changes, permissions changes, and attempted logins), events on stored procedures and functions, and provides out-of-the-box compliance templates such as HIPAA, GDPR, PCI. ApexSQL Audit saves captured information in a centralized auditing repository and provides comprehensive reports. 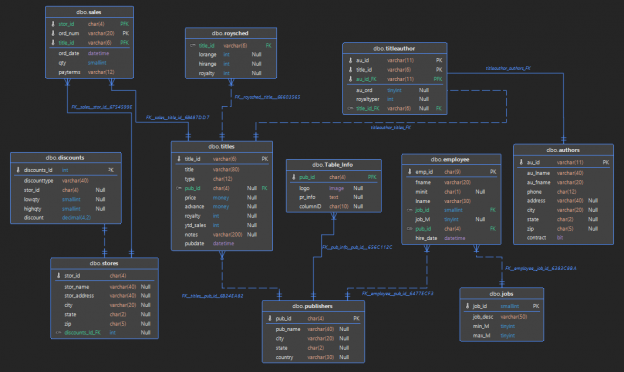 This article shows a quick overview of ERD aka data model diagrams created by reverse engineering most commonly used SQL Server sample databases. The models are shown in different layouts and styles, using the reverse engineering capabilities of ApexSQL Model. About ApexSQL Monitor: ApexSQL Monitor is a Windows and SQL Server monitoring tool with a wide range of monitored metrics. 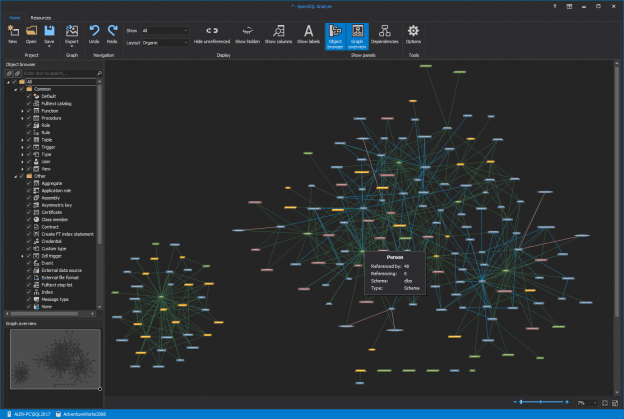 It tracks Windows, SQL Server, AlwaysOn Availability Group and Failover Cluster instances, and database metrics on multiple local and remote machines and SQL Server instances. It monitors the most important SQL Server statistics, memory, buffer, and page metrics – batch requests per second, user connections, target and total server memory, buffer cache hit ratio, batch requests, page life expectancy, page reads and writes per second, and more. ApexSQL Monitor also tracks SQL Server wait statistics including the individual query wait statistics. Monitoring these metrics enables you to identify and troubleshoot performance problems, establish trends, set baselines, and generate built-in or custom reports. 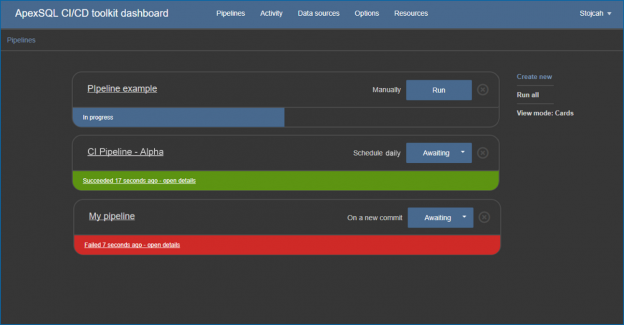 The ApexSQL CI/CD toolkit Web dashboard is a standalone web dashboard that allows quick set up, configuration and execution of CI/CD workflow pipelines initiated manually, on a schedule or on a commit. About ApexSQL Source Control: ApexSQL Source Control is a SQL Server Management Studio add-in to version control SQL databases and objects. It integrates with all major source control systems and allows database developers to work together on a shared or a dedicated database copy. ApexSQL Source Control provides full object versioning features such as object locking with team policies management, detailed view of changes history, conflict resolution, labeling and more.